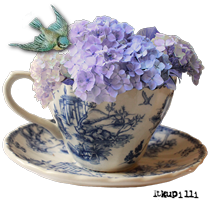 Hi there and welcome my friends, to Tuesday Cuppa Tea for the last day of April. After record heat for a few days we are back to clouds, fog and rain...typical Pacific Northwest... but the Tulips have finally bloomed! I posted this on my Facebook page this morning....finally spring feels like it is really here! 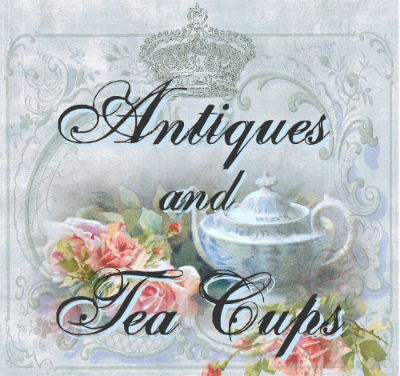 I put together a tea table in the sunroom yesterday in a break in the clouds...difficult for us at times. The cross stitch is a blossom and butterfly border surrounding a verse from a favorite hymn Blessed Assurance. It is another step...another realization that life is changing...we will never go back to what it has been...and we need to adjust to the new realities of life. But Blessed Assurance indeed, because we are in His hands. 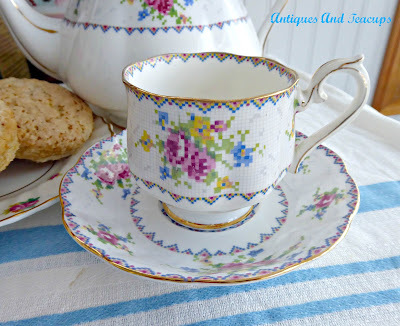 I love the Petit Point pattern...I suppose because I love to do cross stitch...I could actually do something with the pattern on the china! 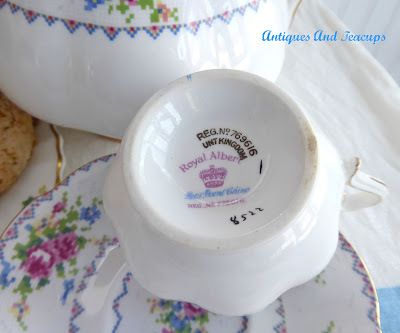 This is the large 40 ounce size...the largest Royal Albert makes. 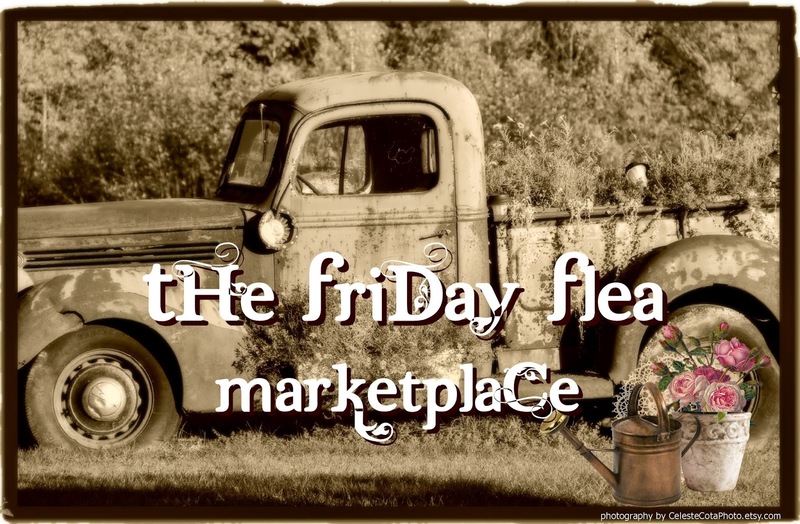 I especaily love the hand painted figural flower finial...isn't that cute? 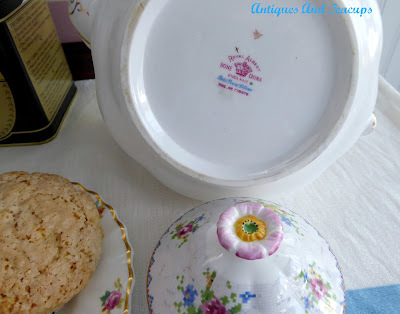 The mark is the early one with the company identified as Royal Albert Crown China. 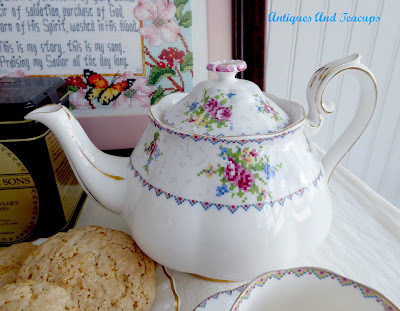 The pattern is number 8522 and the teapot has the Rd number, or Design Registry number for the pattern for 1933, and it was discontinued in the 1950s. The cup has an interesting stamp you don't often see...besides the Rd#, there is a stamp that says United Kingdom, which means this particular lot of china was made for export to the USA by a retailer. I don't know who, sometimes that was noted too...like imported by Macy's or Bergdorff Goodman or something like that. For a treat for tea, I made a batch of cream scones. 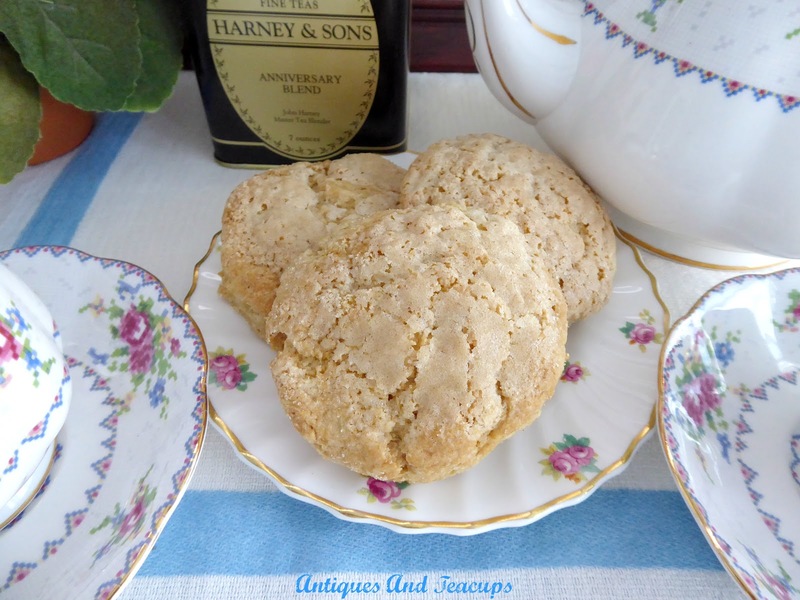 I used a Martha Stuart recipe, just simple scones. 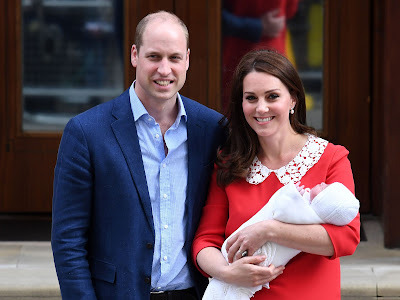 And of course, their third child and second son arrived last week and has been given the name Louis Arthur Charles. 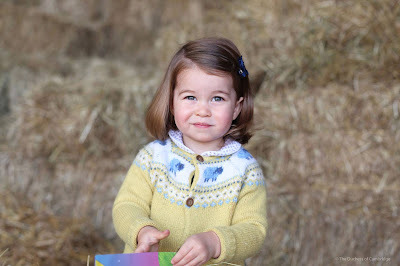 And Princess Charlotte is 3 years old on May 2nd. Lots of royal things in April. Another small reminder... Prince Harry Weds Mghan Markle on May 18th. We have a few of our Leonardo bone china wedding mugs left at Antiques And Teacups. 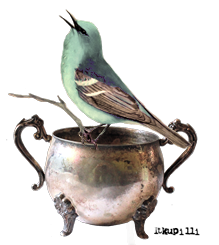 Thanks so much for joining me for tea this week. "...Praising my Savior all the day long"...I am enchanted with your Spring cross stitch,just wonderful!You did a great job!Learn cross stitch is in my bucket list,my mother learn it some years ago,so it is possible to dream!You are right,dear Ruth,we are in His hands...Faith.That Tea set is gorgeous and dainty!Your post is amazing and I am grateful for linking with your great party.Hugs! Good morning, Ruth! 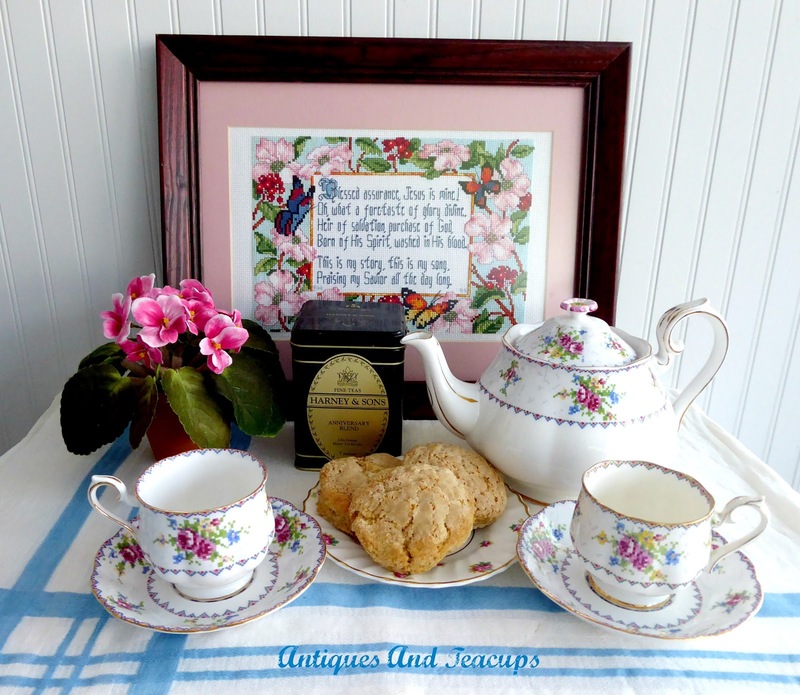 Your counted cross stitch piece is just so perfect for your tea and the verse is so meaningful for all of us. TRUST and FAITH are important words in my life right now. The RA Petit Point is one of my favorites. 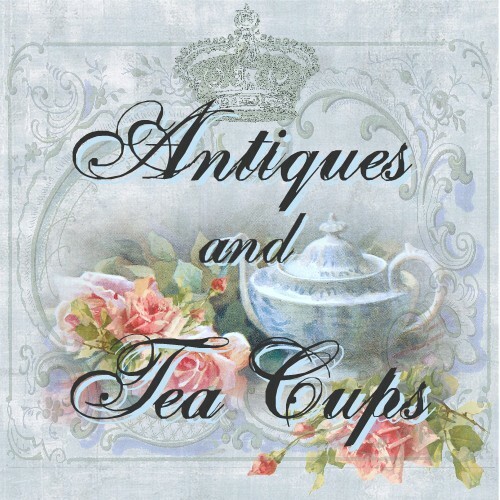 I have a teacup, but I would love a teapot. It is beautiful! 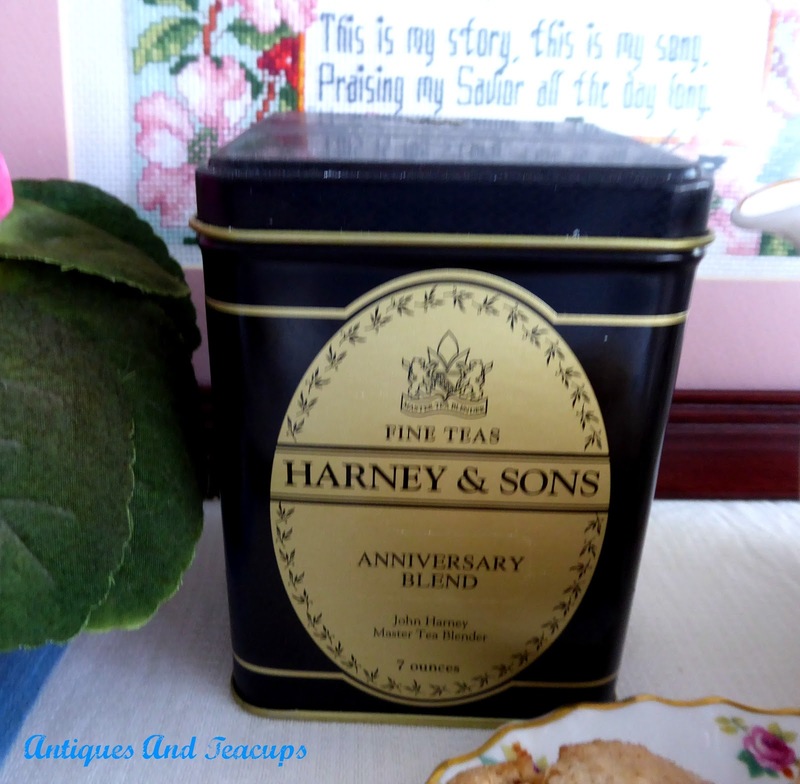 Thank you for sharing and hosting your tea party with us, and yes I'd love a cream scone with my cup of tea. Good morning Ruth! 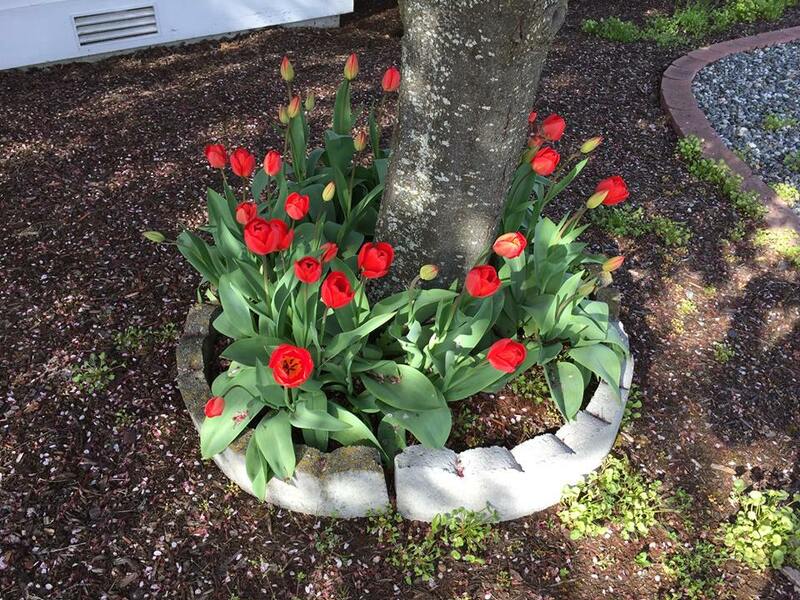 Your tulips look beautiful around the base of the tree! Such a pretty look! 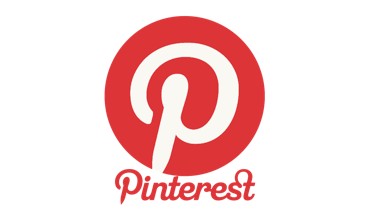 I love your Petit Point setting and I too have several pieces of it but not the teapot. Lots of celebrating going on for the Royals, yes. Happy birthday to Princess Charlotte and Congrats to the happy couple on the birth of their new son! 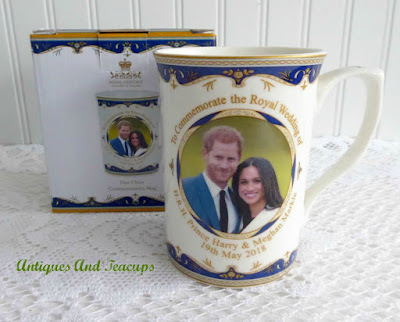 The cup commemorating the Royal wedding coming up is lovely! 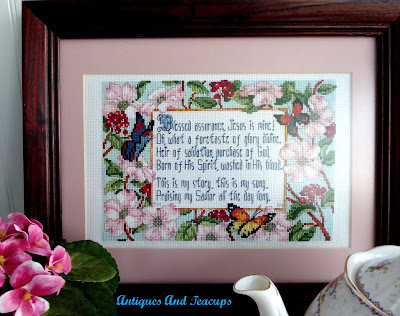 Love your cross stitch; Blessed Assurance Jesus is mine! 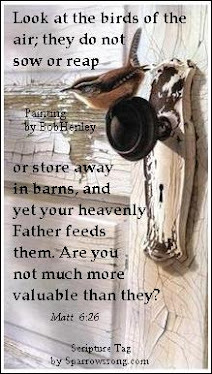 He does take care of us and sees us through our trials... Praise His Name Forever! I love the Petit Point china. My dearest and oldest friend inherited her mother's set. I was delighted some years ago to find mugs in the pattern at a Victoria consignment store. After several birthdays, she now has enough for a coffee party! We're finally enjoying spring weather here too! I've always admired the RA Petit Point pattern. Wow, April is a busy month for the British monarchy. This is the first time that I've heard of the Harney and Sons anniversary blend. Now I'm off to search for it online...Thanks for hosting, Ruth! Ruth, I'm so sorry your husband's Parkinson's is progressing. Having to acknowledge the need to make adjustments is especially hard for men, I think. 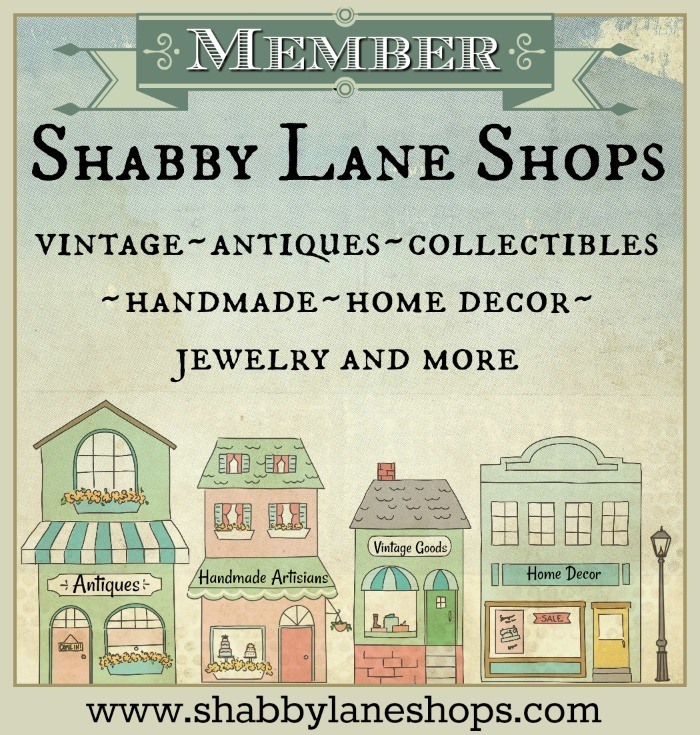 Thank you for this beautiful post and for hosting. 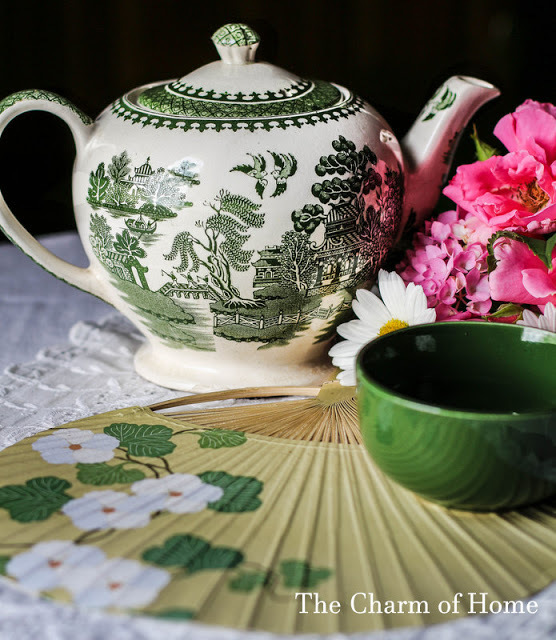 You've shown me another china pattern I've never seen. I have several cross stitch pieces done for me by a dear departed friend. 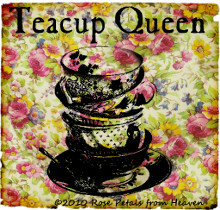 How she would have loved that Petit Point cup and saucer!